So many preschoolers are fascinated by dinosaurs, and after being reintroduced to them as an adult through my child's eyes, I can see why! It's amazing that these wildly diverse creatures once roamed the Earth! 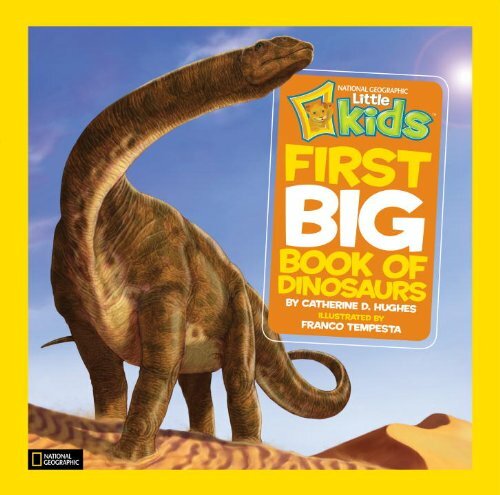 We have the National Geographic Little Kids First Big Book of Dinosaurs and have been enjoying learning about the different kinds of dinosaurs. It is organized by Small, Big, Giant, and Gigantic Dinosaurs. My 3 year old wanted to start with the Giant Dinosaur section because that is where he saw the T-Rex image. We started reading about one dinosaur that brought leaves to her babies while they were still in the nest, one with a unicorn-like skull, and another with huge claws used to digging for insects to eat. He immediately wanted to start playing "pretend dinosaur" and we pretended to be the mommy dinosaur getting food for our babies and the long-clawed dinosaur digging through dirt. And I'm sure if he had one of these cute dino hoodies from Etsy, he would have put it on as we played! The hoodie says it is available in sizes for newborns up to 5-6 years old. 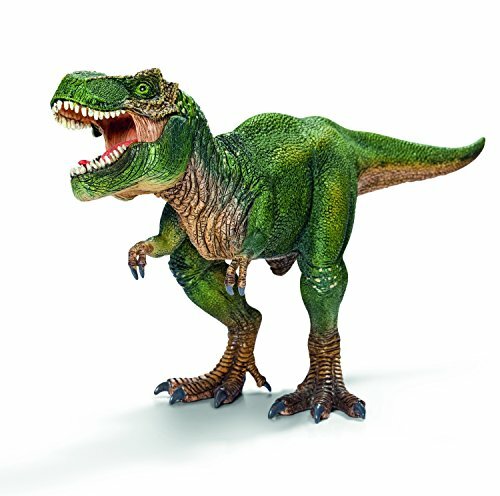 There are also some great dinosaur figures, and I know my son would be thrilled to receive this powerful Tyrannosaurus Rex that has a moveable jaw. Depending upon how much you want to spend, you could get this figure instead of the hoodie, or in addition to it. Both will invite lots of roars and pretend dino play! Note that the manufacturer does not recommend this Tyrannosaurs Rex figure for children under 3. 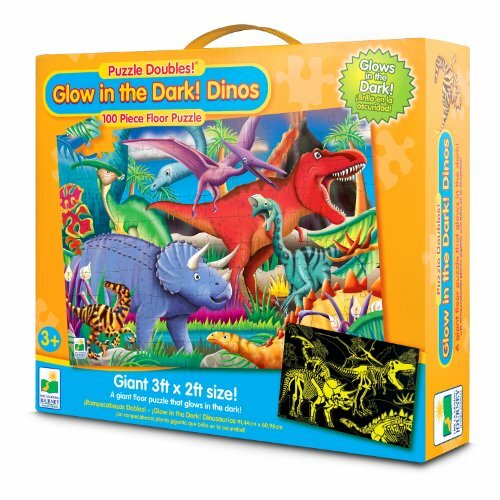 If you're looking for a little more to give, there is a glow in the dark dino puzzle that looks fun. You get an extra reward for putting all the pieces together because the skeletons of the dinosaurs will glow when you're done! 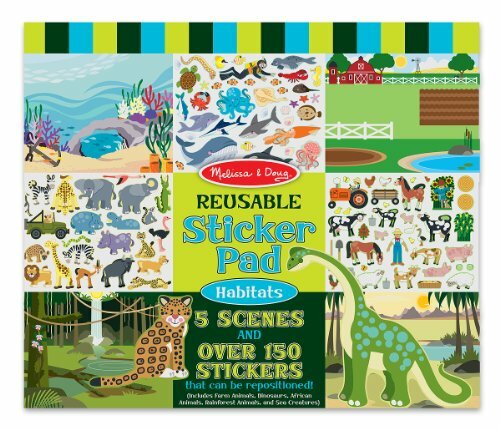 There are also dinosaurs in one of the scenes of this Melissa & Doug Reusable Sticker Pad. These Reusable Sticker Pads will entertain kids and are good for little fingers to practice their manual dexterity.